When it comes to running a restaurant, there are a lot of things to get right. The cuisine must be delicious and consistent, and the service must be attentive and efficient, and the ambiance must be on-brand and inviting. But with all the choices that restaurateurs must make to bring their visions to life, there’s an important one that doesn’t always get the attention it deserves: The decision on which point of sale system to use. Your staff relies on the POS system all day, every day. Your front-of-house staff can use it to check in customers, take orders, and manage customer flow. Your back-of-house staff can use it to manage inventory, run financial reports, and get a solid understanding of how the business is running. And the way the system looks and feels can make a significant impression on your customers, especially if they’re using it for self-check-out. The days of simple cash registers are long gone. POS systems that might seem similar at first glance can have very different implications for your restaurant. To make sure you choose the right POS system for your restaurant, avoid the following mistakes. There are a lot of point of sale software options on the market these days. There are even plenty of restaurant-specific software programs to choose from. Perhaps it’s no surprise that some owners would rather opt for the simplest system or the first one that seems to do an adequate job, skipping the hours and hours it takes to comb through features and compare programs. After all, restaurant owners already have a lot of demands on their time. However, this isn’t a decision that you should make quickly. A POS is typically a long-term commitment. You may tell yourself that you can always upgrade your POS later once the restaurant gets more profitable, but in reality, it’s not that simple. First of all, changing point of sale systems can be a big chore once your staff is already trained. But perhaps more importantly, waiting until you’re more profitable to get a better POS system can be self-defeating, because the POS system is possibly the perfect tool to help you make that future profitability a reality. The features that your POS offers can add a ton of value, as we’ll discuss next. Restaurateurs, like all new small business owners, are right to make sure that every purchase is a wise one, especially when it comes to overhead costs and long-term financial commitments. Point of sale systems and their accompanying equipment can be expensive, so many new restaurant owners automatically choose the system with the lowest price tag. But that’s not the best approach. Think of it this way: You wouldn’t just buy the cheapest produce for your menu, sight unseen. You understand that you get what you pay for, and that investing in poor quality ingredients will result in more financial losses over time. Take that same mindset as you search for a point of sale system. Investing in quality often pays off, but it’s certainly possible to overpay (such as by choosing a system with bells and whistles you don’t actually need). Instead of focusing on the price points for each system and worrying about how each POS candidate will fit into the existing budget, try to think about the value each system will bring to your restaurant. For example, will the marketing integrations in the point of sale system help you land more leads or attract more returning customers? You might be able to put a dollar value estimate on that. Will the fact that the point of sale system ties in seamlessly with a specialized inventory system save your staff time, or even mean that you have to hire fewer people? That’s also a dollar value that can offset the system’s costs. Similarly, if certain features don’t really apply to your restaurant or add much value (for example, a seating chart feature won’t be necessary for a fast-casual style restaurant), you can eliminate that option more easily. Some restaurant owners still assume that traditional, locally-installed software is simpler or more affordable than modern, cloud-based software-as-a-service. Sure, sometimes it might be. And research is required for you to understand which type of system will work for you. However, you shouldn’t discount SaaS model software until you’ve really looked into it. These software options continue to grow, and the regular technology updates and live customer service that’s typically included in the monthly cost can be well worth any extra expense. It make sense for restaurant owners or managers to make the final decision on the point of sale systems. They’re the ones who need to make sure that the program has all of the features the restaurant needs on both the front-end and the back end. They’re also the ones controlling the purse strings, and making sure that any given program aligns with the restaurant’s long-term goals. But if the owner or manager decides on the point of sale system unilaterally, they’ll have missed out on a huge opportunity to leverage the knowledge and opinions of those who will actually be using it all day long. 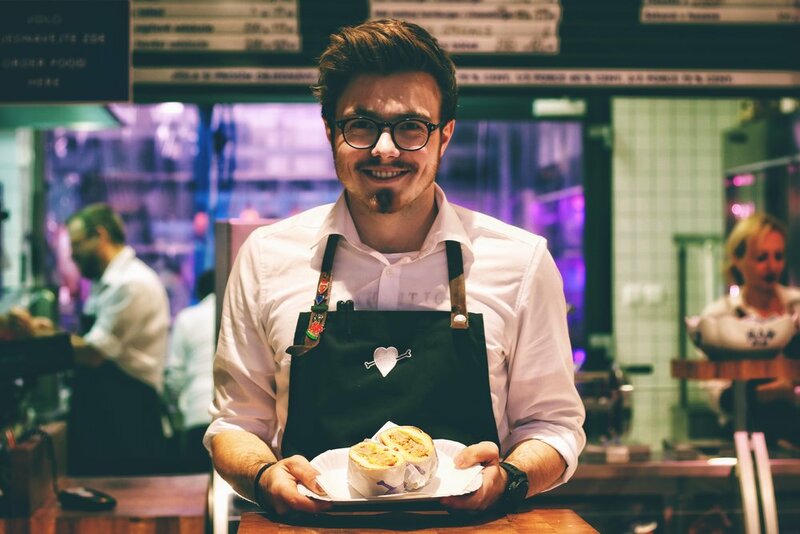 Want to pick a POS that your restaurant staff will love? ASK them what features they want to see before you choose. Your staff likely has lots of industry experience and a deep understanding of what your restaurant’s needs are. Getting their opinions about what features your point of sale system should have can be very valuable. Make sure to involve them as early in the selection process as possible. They are likely to appreciate the chance to weigh in. If they feel like their voices have been heard and considered, they will also feel more invested in the program’s success. Don’t just read the marketing materials and listen to the sales rep’s pitch before you commit to a POS system. Try the systems for yourself, if possible, by taking advantage of a free trial. If that’s not possible, at least get a detailed demo and take a look at how the system is used at a restaurant similar to your own. It might help to have each level of your staff take a look at the software. Managers might love the accounting features and the at-a-glance financial reports, but do the hosts like how they can check in new guests? Can servers input their orders quickly and easily? Have you had your back-of-house staff take a look at the system’s inventory management features? You should see all of these features firsthand before you make a commitment, and run through some of the scenarios that you’ll be dealing with each day at your restaurant. Make sure you’re absolutely clear on what equipment will work with the POS software. Test each piece of hardware as soon as you can to make sure it works without a hitch. One other thing to test is the live customer support. Restaurants are often busiest outside of normal business hours. An glitch or an outage during the dinner rush could get much worse if there’s not reliable customer support available at that time. Try calling a potential POS’s support lines to get a sense of what you can expect when you really need it. Want to learn more about the software options available to your restaurant? Please contact us at Cloudscape Technologies. We have partnered with top-of-the-line cloud-based software providers to empower restaurant owners with the software solutions they need. Request a free consultation today.